St. Martin's Press, 9781250086020, 352pp. A photographic tour of the different sides of Hollywood by the the bestselling author of life.love.beauty. The actor, photographer, and bestselling author reveals the Hollywood we see--and the one we don't--with a photography narrative featuring more than 250 emotionally charged color and black and white photos. Keegan Allen is a Hollywood native, growing up in a world that millions visit and many more imagine. With an avid fan base that follows him on Facebook, Instagram, Twitter, Snapchat, and a busy career that includes seven years on the hit series Pretty Little Liars as well as films directed by James Franco and Gia Coppola, Allen also is a lifelong photographer whose first book, life.love.beauty, was a national bestseller. Now Keegan turns his eye and camera to the place he knows best. Hollywood captures the beauty and glamour of the place itself—with unusual angles of the famous sign, the glint of sidewalk stars stamped into the entrance of the Grauman’s TCL Chinese Theater in the rain, the Chateau Marmont at twilight, secret local hideaways, red carpets and more--but also the darker side of dreams unrealized in the faces, hands, eyes, and footsteps of those who live on the fringe of celebrity. His photos are enhanced by revealing, intimate captions, lyrics, and other writing, as well as hand-drawn illustrations, exciting parodies, and iconic emulations. 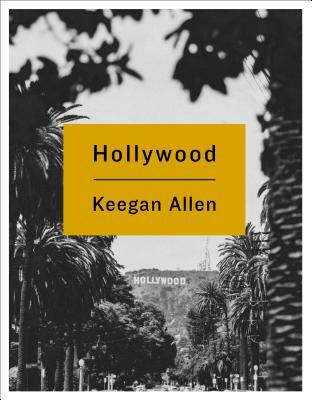 A book that will engage and surprise Keegan's legions of fans and followers, Hollywood is an essential gift for anyone who has visited or imagined this storied place. KEEGAN ALLEN is an actor, photographer, and musician. He starred in Freeform’s wildly successful Pretty Little Liars and is the national bestselling author of the photographic journal life.love.beauty. In 2017 he released his first single “Million Miles Away.” He lives in Los Angeles.